Many essential oils are multi-purpose in nature, offering several useful health benefits at once. One of the most popular forms of aromatherapy uses essential oils for sore muscles and pain relief. Essential oils like peppermint, juniper, and sandalwood all have active compounds that could help ease sore muscles and keep some chronic pains at bay, including fibromyalgia, rheumatoid arthritis, and even migraines. But with so many essential oils for sore muscles available, you may be unsure of which oils to use and how to use them. So, why would you use essential oils for muscle soreness? What advantages might essential oils have over medicinal painkillers? Essential oils are the aromatic liquids extracted from plants through steam distillation or mechanical pressure. The fluid contains volatile chemicals that have been used for centuries to promote physical and mental well-being. The pain-relieving compounds in essential oils can be used to soothe sore muscles via massage and other topical treatments. Some oils could generate a soothing heat, while others might help with blood circulation. Others still could help reduce inflammation in the muscle area. Certain oils may alleviate pains of all types. Lavender oil, for example, may not only relieve muscle pain, but it may also be able to help you with a headache. The use of essential oils for pain relief may also appeal to those with mild aches and discomfort because they are generally non-invasive. Beyond allergic reactions and photosensitivity, there are few known side effects for essential oils when used as directed. A great many essential oils have been touted as effective for treating your sore muscles. But some essential oils are better suited for this purpose than others. To that end, the following may be the best essential oils for pain relief. Lavender oil has often been used as a mood relaxer due to its sedative-like qualities, but it also contains anti-inflammatory and antibacterial properties. Chemical compounds like cis-ocimene, lavandulyl acetate, 1,8-cineole, limonene, and geraniol could help inflammation retreat and muscle pain to recede. Researchers in Hong Kong found that acupressure with lavender oil massage significantly reduced neck and low back pain in patients with eight sessions over a three-week period. Lavender oil is a fairly gentle essential oil that is often used directly on small areas of the skin without the use of a carrier oil. However, you should always perform a patch test on the skin before using any new essential oil. If there is a small muscle pain, in particular, place a few drops of lavender oil onto the spot that aches and massage it into the area. If the muscle area is a large one, it is a good idea to to mix a few drops of lavender oil with a carrier oil. Reports suggest some pain relief may also be gained by inhaling the vapors of lavender oil. This can be done by adding a few drops to a diffuser, or for a more direct approach, place a drop or two of lavender oil into each hand, cup them over your nose and mouth and inhale deeply. Chamomile oil has been used as a pain relief agent from as far back as ancient Rome, hence the alternate moniker Roman chamomile. Chamomile contains flavonoids and terpenoids that give the plant and oil anti-inflammatory properties. These particular anti-inflammatory properties may work best for soothing pain and discomfort in the muscles, as well as possibly relieving other pain caused by indigestion and rheumatism. Studies have shown that the flavonoids and oils penetrate past the skin’s surface and deep into the inner layers. 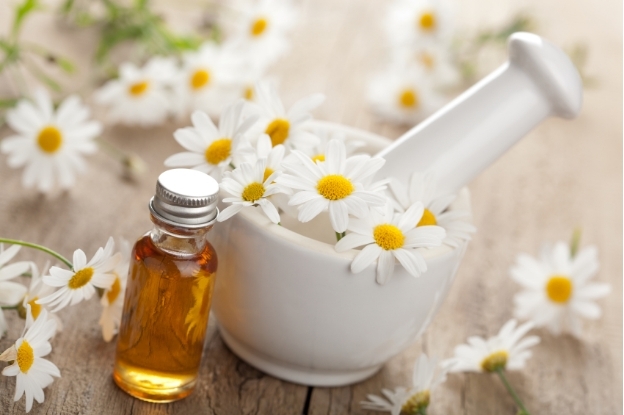 Use chamomile oil by mixing a few drops of a carrier oil like coconut oil, olive oil, or sweet almond oil. Proceed to massage that mixture into the sore muscle area. Alternatively, adding a few drops of chamomile oil to a diffuser and breathing in the fumes may also help. Peppermint oil contains a large amount of menthol, which not only helps to give the oil its fragrance, but may also give the oil muscle-soothing properties. Peppermint oil can help penetrate into the muscle, helping to relax it, which can relieve muscle pain and spasms. 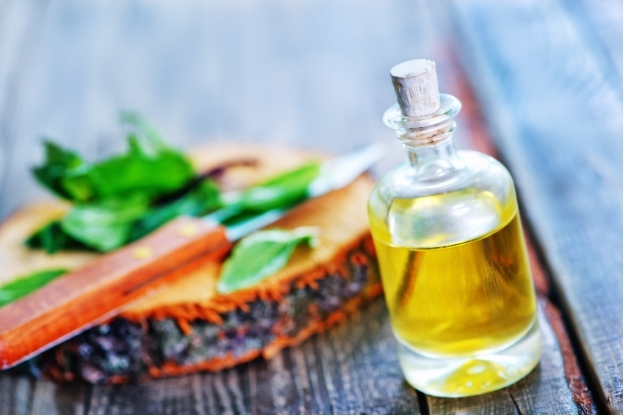 Research published in the Indian Journal of Anaesthesia indicates topical use of peppermint oil could relieve fibromyalgia and myofascial pain, in which pressure on trigger points in your muscles produces pain in other areas of the body. Peppermint oil is a fairly strong essential oil and as such should be used with a carrier oil like olive oil or diluted with a little water before massaging it into your skin. Add two or three drops into a warm bath and soak for 20 minutes to relieve your sore muscles. You can also use eucalyptus essential oils for pain relief of the muscles. Eucalyptus oil contains a chemical called cineole. In fact, eucalyptus has one of the highest concentration of cineole that you can find in plants. Cineole gives eucalyptus oil its anti-inflammatory and pain relief properties. Eucalyptus oil is very strong and should not be used directly. 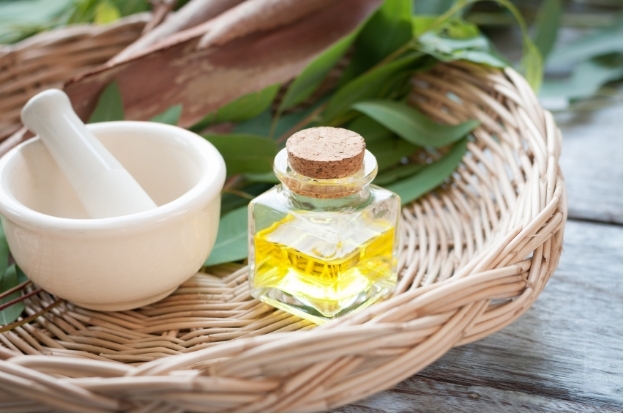 Mix a few drop of eucalyptus oil with a carrier oil (eucalyptus oil mixed with coconut oil works really well as an essential oil blend for sore muscles) and massage it into the sore muscle area. Inhalation is also recommended via a diffuser. Sweet marjoram oil is distilled from the marjoram herb, which is a close relative of oregano cooking spice. 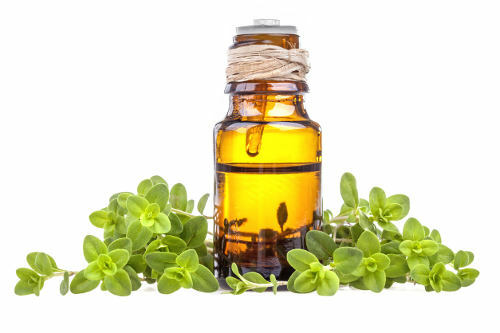 As a result, sweet marjoram oil contains the compounds of sabinene, alpha terpinene, gamma terpinene, cymene, terpinolene, linalool, sabinene hydrate, linalyl acetate, terpineol and gamma terpineol, which gives the oil a great deal of antiseptic and antispasmodic characteristics. Sweet marjoram oil is typically used to soothe spasming muscles as well as to relieve the ache of muscles and joints that are sore. You can use it by mixing it with a carrier oil and massaging it into the muscles that are in pain or spasms. Clary sage essential oil is distilled from the biennial Salvia sclarea plant, and carries with it a number of health benefits that could help with pain relief in sore muscles. Clary sage oil contains compounds like sclareol, alpha terpineol, geraniol, linalyl acetate, linalool, caryophyllene, neryl acetate and germacrene-D that help generate its anti-inflammatory and painkiller qualities. Clary sage oil is very strong and shouldn’t be used for prolonged periods of time and certainly not undiluted. Mix a few drops of clary sage oil with a carrier oil or add to a mixture of carrier oil and chamomile oil to create a massage oil for sore muscle relief. Thyme oil might be a good essential oil for pain relief due to a chemical called carvacrol. Carvacrol is an agent that can help suppress COX-2, an enzyme that is connected to inflammation. This means thyme oil works very similarly to non-steroidal anti-inflammatory (NSAIDs) drugs like ibuprofen. Thyme oil is also very penetrating, so using it as a part of a massage oil can help bring great relief to inflamed and sore muscles. 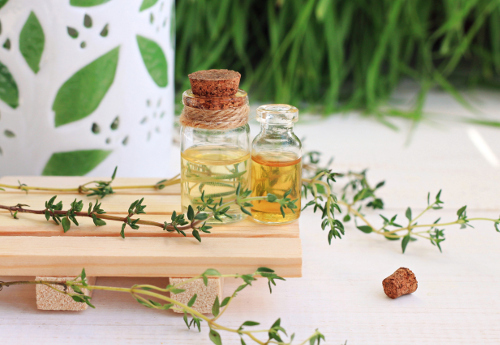 In a 2014 study comparing the effects of Thymus vulgaris on primary dysmenorrhea (recurring painful menstrual cramps) symptoms to ibuprofen capsules, patients reported drops of the essential oil to be more effective for reducing pain and spasming. Rosemary essential oil has been used for its anti-inflammatory abilities since the construction of the Egyptian pyramids. Rosemary oil contains a compound called carnosol, which is known to directly target cells that cause inflammation. 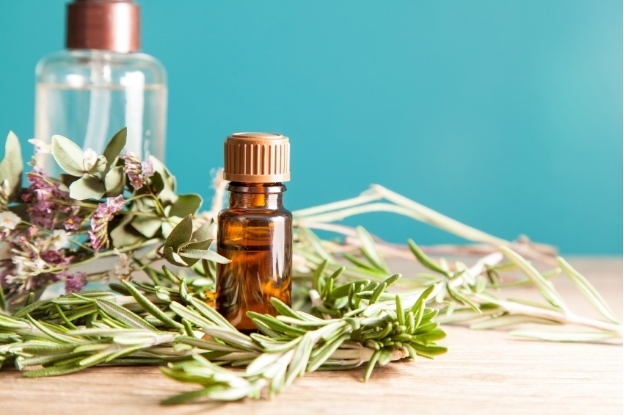 Mix rosemary oil with a carrier oil and massage it into the troubled muscle area for relief. Sandalwood essential oil is known for its reported ability to help treat internal wounds and ulcers, but it also has anti-inflammatory and anti-spasmodic properties that may help with sore muscle relief. Sandalwood oil contains an active component called santalol. Santalol can help decrease inflammation markers called cytokines in a similar manner as NSAIDs. Mixing a few drops of sandalwood oil with a carrier oil and rubbing it into the problem area could potentially help relieve muscle pain and tension. Ginger essential oils are distilled from ginger root, a plant that has been used in Eastern medicinal practices for centuries, especially where inflammation is concerned. 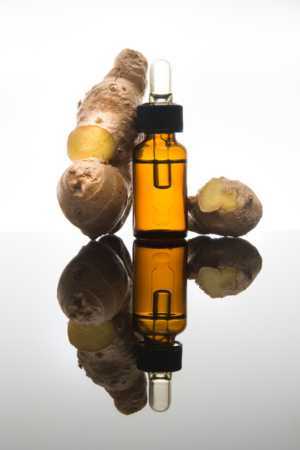 The ginger oil contains gingerol and shogaol, two agents that can suppress the causes of inflammation much like a NSAID. Mix two or three drops ginger oil with a carrier oil and rub it into the joint of muscle area where the pain is emanating. This should help relieve some of the inflammation in the sore muscle. Juniper essential oil is made from juniper berries and contains a high amount of flavonoids. Flavonoids have been widely studied for their anti-inflammatory characteristics. Mix juniper oil with a carrier oil at a 1:1 ratio. Massage the oil blend into the sore muscle area for relief. You can also have a juniper essential oils for sore muscles bath by adding a few drops of juniper oil to the bath water and soaking in it for a 20 to 30 minutes to treat all of the aches and pains. About 85% to 99% of wintergreen essential oil is made up of a compound called methyl salicylate. Methyl salicylate also happens to be one of the best anti-inflammatory ingredients that you can come by in nature, according to experts, working in a similar fashion to cortisone. Due to its powerful nature, you do not need much wintergreen oil for effective sore muscle relief. Add one or two drops of wintergreen oil to a carrier oil and massage it into the muscle group that is currently sore. Frankincense essential oil works much like thyme oil does in that it blocks the enzyme COX-2 from doing its job and spreading inflammation. Add a few drops of frankincense oil to your bath and soak in it for 20 to 30 mins to reduce muscle inflammation and relax the muscles. Or, combine it with a carrier oil in a 1:1 mixture and massage the mixture into the problem area. 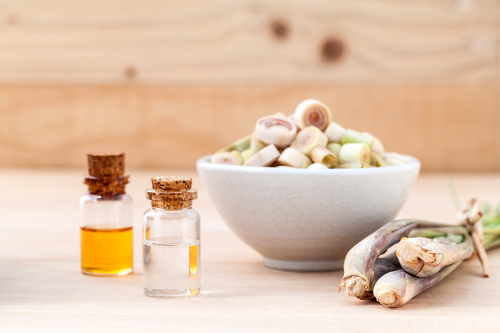 Lemongrass essential oil contains a compound called limonene. Limonene may work as an anti-inflammation agent on everything from asthma to cancer, but it also could help bring down inflammation in sore muscles as it can also block the work of the COX-2 enzyme. Lemongrass oil is a fairly mild oil. Place 10 drops of lemongrass oil in your bath and soak in it for 20 to 30 minutes for muscle pain relief. You can also mix a few drops of a carrier oil and massage it into the aching area. Vetiver essential oil is not incredibly well-known to Westerners but has long been used in parts of the East for its anti-inflammation gifts. Vetiver oil contains a number of carbonyl compounds and esters that could help relieve the pain and soreness within a muscle. Mix a few drops of vetiver oil with a carrier oil. Massage the oil mixture into the joint of muscle that is giving you aches and pains. Helichrysum essential oil is a little unique—not in that it can reduce inflammation but unique in how it can be used. Helichrysum oil’s chemical components could not only reduce swelling, but could also reduce inflammation, helping to soothe sore muscles, especially those that are sore due to injury. The nice thing about helichrysum oil is that generally no carrier oil is needed. Helichrysum oil can be rubbed directly into the sore muscle. As always, perform a skin patch test before initial use. Black pepper essential oil is distilled from black pepper, and might help stimulate blood circulation. The improvement in blood circulation could help reduce the inflammation of the muscles as well as help quicken the healing process of any torn or strained muscles. Black pepper oil has a warming sensation and should be mixed with a carrier oil before massaging it into a sore muscle group. It should be noted that you can also take black pepper oil internally but only on the advice of a trained aromatherapist who is familiar with your medical history. The oil should alos be high grade and 100% pure. As you can see, your options for essential oils for sore muscles are fairly large. The key is to find the right essential oil for you. However, there are necessary precautions to take with the use of essential oils for pain relief. As with any natural or herbal remedy, allergic reactions to essential oils can occur, especially with topical application. If you experience any redness, itching, swelling, or rash, cease using the oil for muscle pain immediately. Some oils will also increase your skin’s sensitivity to sunlight. The most common are citrus-based oils like lemon, orange, and bergamot. Be sure to limit exposure to UV rays or wear protective clothing when heading outdoors following the use of such oils. Do not use essential oils while pregnant or nursing, and never use on children or pets without the okay from a medical professional (i.e pediatrician or veterinarian). You should also consult with a doctor or pharmacist before trying any new essential oil, as some have been reported to interact negatively with prescription medications. 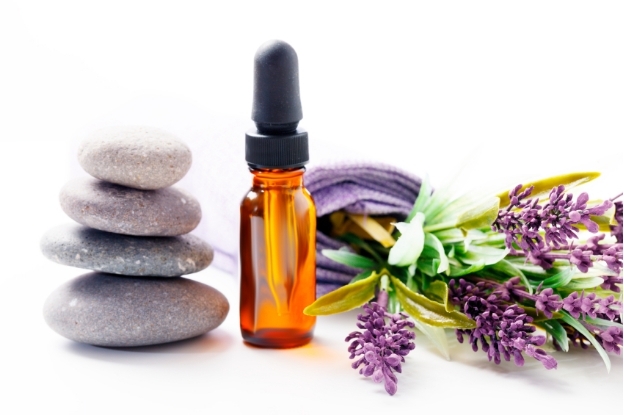 Unless otherwise directed by a certified aromatherapist, no essential oils should be ingested. Hills, J., “The Top 20 Essential Oils to Relieve Pain and Inflammation (Research Based),” Healthy and Natural World; http://www.healthyandnaturalworld.com/essential-oils-to-relieve-pain/, last accessed August 31, 2017. Bright, S., “15 Essential Oils To Instantly Relieve Pain & How To Use Them,” Natural Living Ideas, January 11, 2016; http://www.naturallivingideas.com/essential-oils-for-pain-relief/, last accessed August 31, 2017. Koulivand, P., et al., “Lavender and the Nervous System,” Evidence Based Complementary and Alternative Medicine, Mar. 2013; 2013: 681304; https://www.ncbi.nlm.nih.gov/pmc/articles/PMC3612440/, last accessed August 31, 2017. Srivastava, J., et al., “Chamomile: A herbal medicine of the past with bright future,” Molecular Medicine Reports, Nov. 2010; 3(6):895-901; doi:10.3892/mmr.2010.377, last accessed August 31, 2017. Chandola, H., and Chakraborty, A., “Fibromyalgia and Myofascial Pain Syndrome-A Dilemma,” Indian Journal of Anaesthesia, Oct. 2009; 53(5):575-581; https://www.ncbi.nlm.nih.gov/pmc/articles/PMC2900090/#CIT21, last accessed August 31, 2017. Salmalian, H., et al., “Comparative effect of thymus vulgaris and ibuprofen on primary dysmenorrhea: A triple-blind clinical study,” Caspian Journal of Internal Medicine, 2014;5(2):82-88; https://www.ncbi.nlm.nih.gov/pmc/articles/PMC3992233/, last accessed August 31, 2017. “8 Benefits of Sandalwood Essential Oil,” Natural Home Remedies; http://www.natural-homeremedies.org/blog/sandalwood-essential-oil/, last accessed August 31, 2017. “Get Your Fix of Health Benefits With Ginger Oil,” Mercola, June 23, 2016; http://articles.mercola.com/herbal-oils/ginger-oil.aspx, last accessed August 31, 2017. 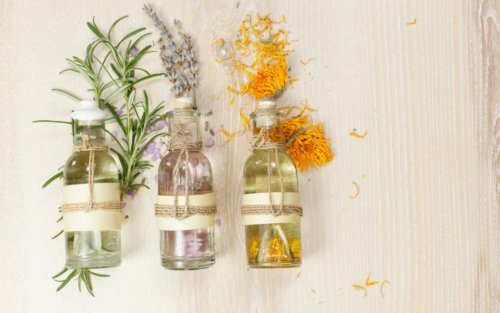 “12 Vetiver Essential Oil Benefits & Uses (Plus 11 Recipes, Tips & FAQ),” Essential Oil Sanctuary, April 28, 2017; http://essentialoilsanctuary.com/vetiver/, last accessed August 31, 2017. “Vetiver Oil: The Soothing Grass Oil,” Mercola, October 20, 2016; http://articles.mercola.com/herbal-oils/vetiver-oil.aspx, last accessed August 31, 2017.